Thanks for posting this Thomas! This is, of course, the SHADO jeep that was found on the Canary Islands a few years ago. The person who found it tried to find out why it was there, and after asking around, the best that they could come up with was that it was used for some movie that was filmed there, but nobody could remember what movie that was. Obviously in 1991 it was in much better shape than when they found it in a junkyard. It was built for that movie in the late 1960s, then used in the UFO TV series in 1969 - 1970, then we're not sure where it was from then until 1991. Rumor has it that it was used for a movie filmed on the volcano on Tenerife. here is the short video-sequence made with VLC-player (windows media player doesn´t work well and makes the sequence even shorter...). 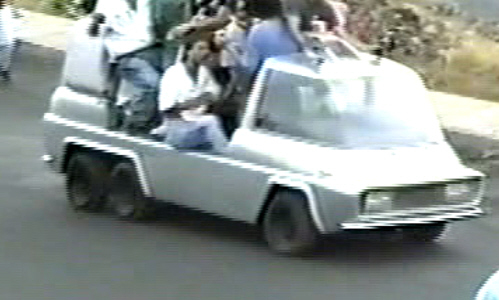 A few years after 1991 the vehicles that were used for such events had to pass technical examinations, so they soon disappeared. We could check if there are videos available in youtube from the Romeria San Roque in Vilaflor before or after 1991, where the jeep might have taken part. Meanwhile I moved from Germany to Tenerife where I live since 2008 and in case I´ll meet people from Vilaflor I´ll ask them if they know something about this car. To unsubscribe from Shado-Jeep, click here. Thanks Thomas, that's very interesting! Would you mind if I posted your video on my "UFO" Facebook page? As I imagine it will be of interest to more people than just those who are here. > doesn´t work well and makes the sequence even shorter...). > Vilaflor before or after 1991, where the jeep might have taken part. Hi, seems that FB does not accept the video format. May be you have to convert it. No problem with that. Maybe I´ll write a comment in German and Spanish, so people can contact me with further questions. Yes, Facebook didn't like the format when I tried it either. So I converted it to an MP4, and Facebook accepted that. ... and I'm assuming that these 7 seconds is all the footage you have of the SHADO jeep? Okay, please send him the VLC version, because I don't have his e-mail address. 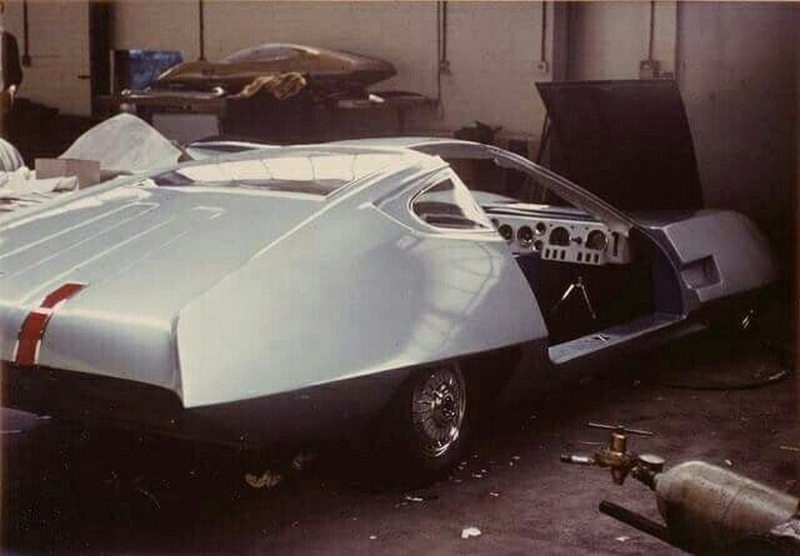 sorry to bump up an old thread, but is there any news on the 3rd doppelganger car as my understanding was that it was being restored alongside the shado-jeep. As I recall, the owner, James Winch, was planning on restoring the Doppelganger car until his experience with the SHADO Jeep made him realize that it was going to cost too much money to restore the car (£50,000). I think he was trying to sell the car in the hopes that someone else would restore it, but I'm not sure what the status is on that. I was under the impression that this car was co-owned by James Winch and Jamie Anderson. I would be surprised if there are too many people out there who could find £50,000 (or even £25,000) to do the car up. Maybe a crowdfunding appeal could be launched?